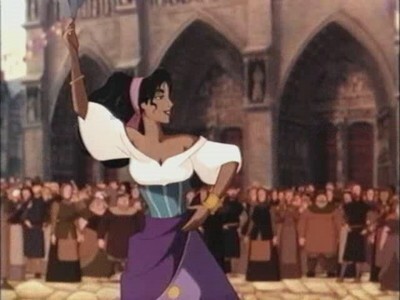 Esmeralda How old is Esmeralda in Dinesy's movie? Well, anyways, is it anywhere said how old is Esmeralda (in Disney's adaptation)? I don't think so. I've seen that film more times than I can count, but I'd guess that she's in her early to mid twenties based on her image and attitude. ^ I would say so too. I would say she's about 17 or older.